Barcelona has defeated with great difficulty 3-1 Leganes squad. Coach Ernesto Valverde has surprised the sporting public with the exclusion of some of the leaders, including Lionel Messi. However, Barça found the goal with Dembele, who was fantastic until he was injured and had to leave the field in the middle of the second half. Luis Suarez's second win after the equalizer of friends has been scored. An incredibly suspicious goal as Leganes players protested for a foul on goalkeeper. Suarez has scored 15+ goals in each of the last seven seasons (five in Barça and two in Liverpool). 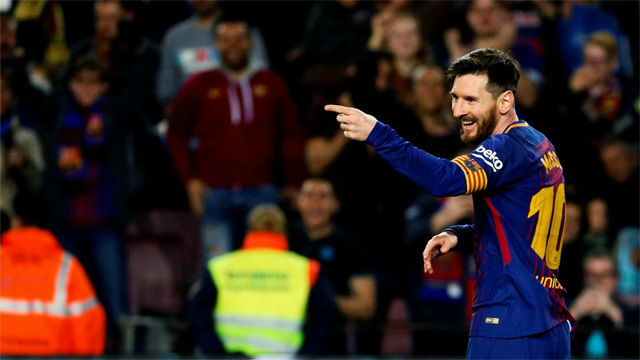 Messi entered the second half and scored the goal at the end of the match. Marc-Andre ter Stegen has become the first German goalkeeper to play 100+ games in La Liga. A great achievement for the champion turnkey in force. With this victory Barcelona goes to the 46 point quota, five more than the second and 10+ from Real Madrid. PSG meets the star's agent of Inter! Top 2018 formation, do you agree? One thing is known: It will be a spectacle ! All eyes on Manchester today ! Qatar 2022, discovered "the tax of sin"
Manchester United wins again ! Lukaku unblocks the game ! 58 million pounds for the super player ! Xhaka goal, fans split: Leader or unnecessary?